Our registered builder has recent experience of working with Opera New Zealand. Personal consultation at no cost during the quote phase offered. 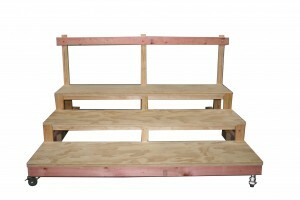 We can design and build additional items on request to suit your needs including school production stage sets. All items are OSH compliant. 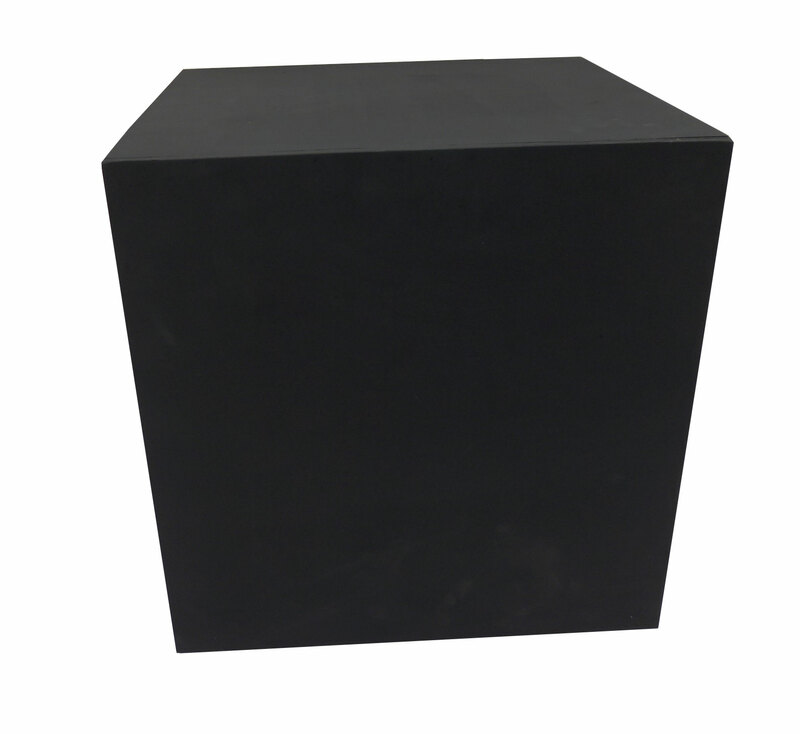 Stage set and props items are built with quality, durable ply woods, and are painted matt white or black, to your specifications. Our robust but lightweight set items are deliberately designed to fit together in terms of their relative heights for ease of movement by students. Drama Magic Ltd is located in Auckland, and we can quote for and arrange delivery throughout New Zealand. Product available with or without handholds. Please specify. 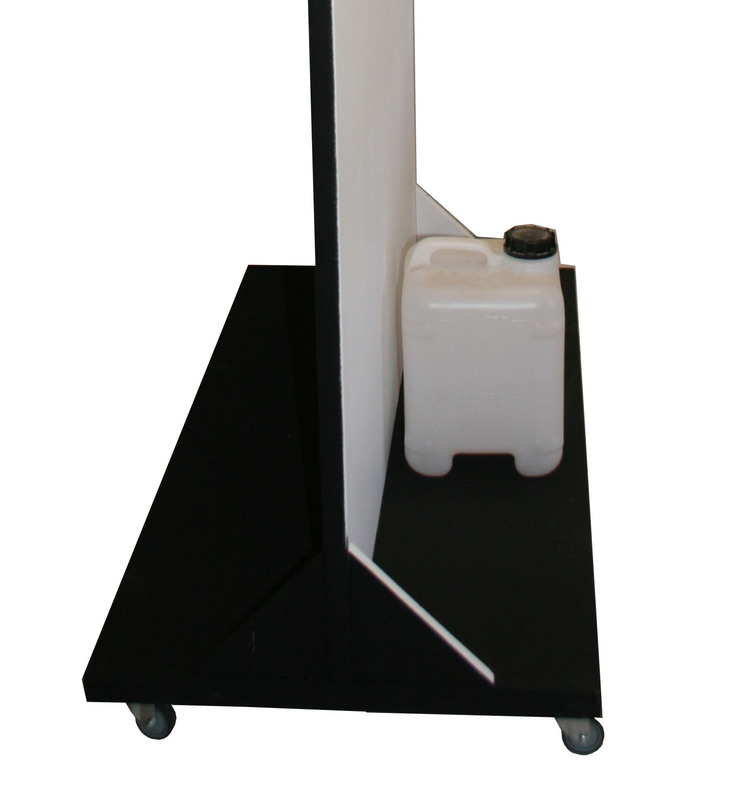 Product available with or without handholds. 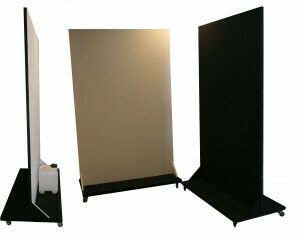 Various sizes available to suit client needs regarding configuration with Drama Magic platforms. 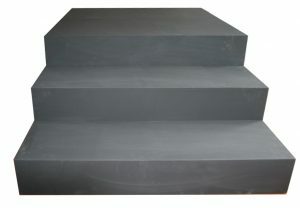 Note: This image includes the Two Level Step situated next to Platform F.
Several options re style of panes are provided. Designed for easy set changes. Black and White option shown. The Principal at Otari School, Wilton, Wellington, Clifford Wicks recently purchased eight purpose built platforms and two sets of steps from Drama Magic. As a result Drama Magic has added ‘Steps’ to its list of products. Thanks Clifford, we hope your students and staff enjoy using the platforms and steps. “Great size and quality, fantastic paint job. 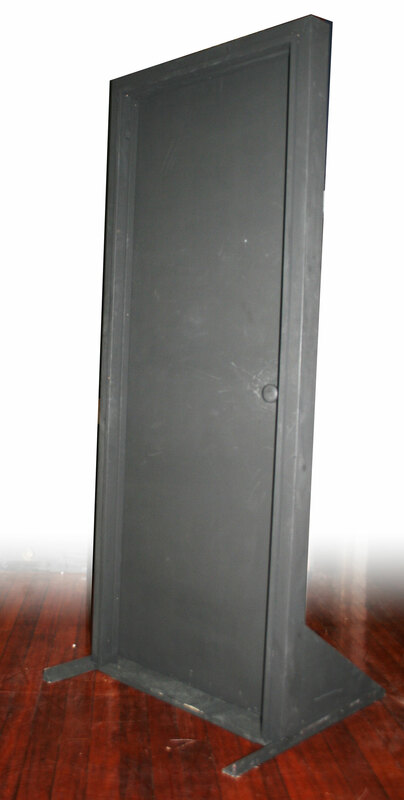 Service was excellent from the ordering process through to delivery. 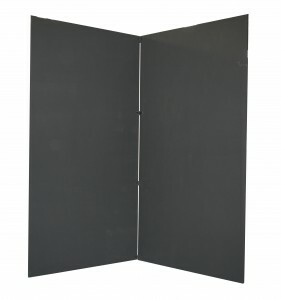 Just wanted to let anyone thinking about buying some stage set items from Drama Magic that it will be money well spent. The Marist College Performing Arts Department bought a free standing stage door and the girls have had a lot of fun with it. In addition we bought 2 pairs of wooden flats which the girls can now ‘mantle’ and dismantle with ease, as well as boxes and platforms which were immediately put to use in our drama room. We had a small issue with the door which Frank the builder attended to in a timely manner. All in all I thought the service was great and that the stage set items are of good quality, robust and value for money. 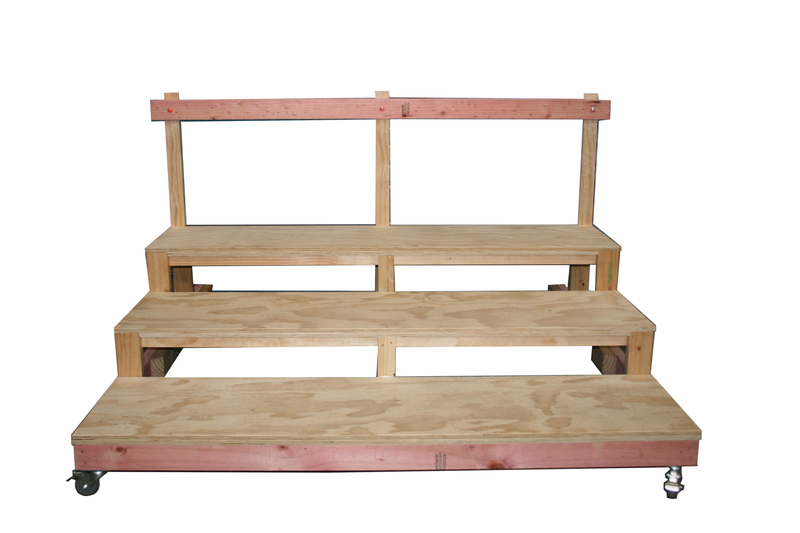 The school production Fame made use of them all during our show and they stood up well to the pressure, apart from chips coming off the edges of the plywood platforms. The doors are solid, and stable on the floor as if they were in a wall. The door swings firmly and closes with a lovely thump. It is held by a magnet so no annoying latch. 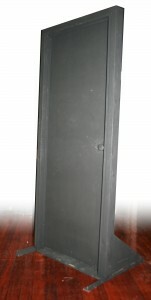 The on-stage side is clear of bracing and allows flats to be butted up to the sides of the door. Maybe a piece above the door to meet the taller flats would be needed but that will depend on the height of the flats. 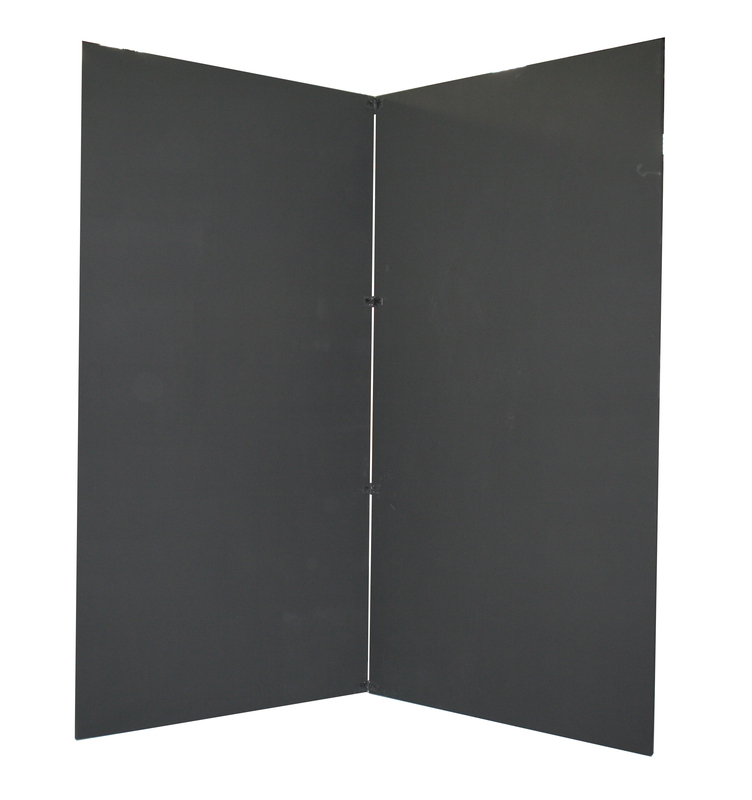 The doors are superb – strong, solid, durable, dull black and unobtrusive. The real treat is their remarkable simplicity and unobtrusiveness. It took barely a week from order to delivery. Frank came out to check our needs and brought them over. These doors will be a long lasting visitor to our productions. I’d love more and will be budgeting accordingly. 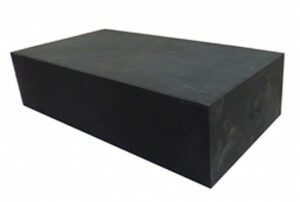 I am supremely satisfied with your company’s service and the quality of the product. 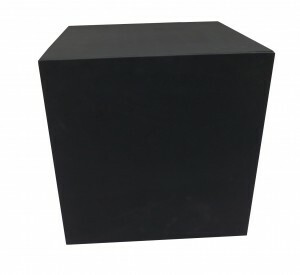 In case you were interested in having pieces of set, boxes and other stage pieces built for you, I can recommend Drama Magic. 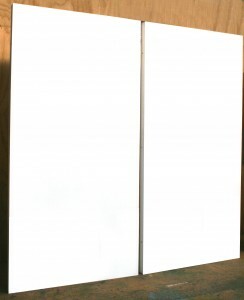 They just built and painted us a stage door, with a fabulous design, constructed to be light enough to move but robust enough to withstand the antics of teenage boys! Frank the Builder was awesome, great communication and built a fantastic final product . We are really pleased.